Here's a sneak peek into a new exclusive and limited-time stamp set that will be available for purchase next month. 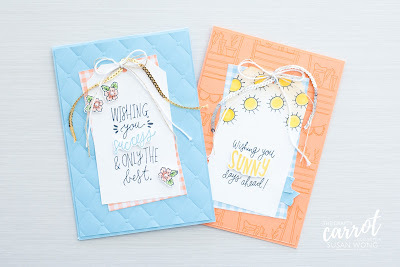 If you're a demonstrator, pre-order the bundle during July and receive a Bonus Day coupon that you can use toward the Holiday Catalogue pre-order during August. 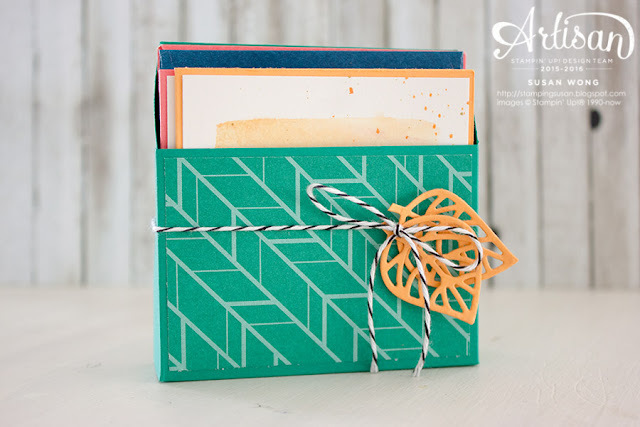 All of the Stampin' Up! Artisans have been going wild with great ideas for this stamp set and thinlits - we can't wait to show you! 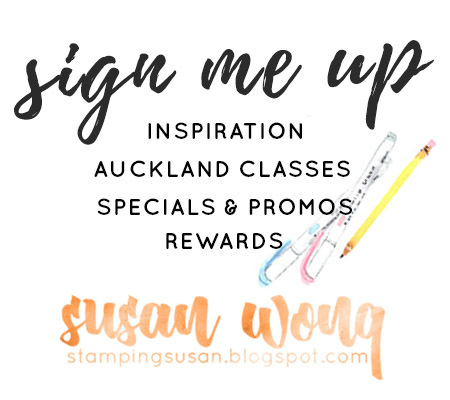 Have a hop through our blogs and join us for ANOTHER Thoughful Branches blog hop on August 2nd (August 3rd NZT). Did you see Artisan Joyce Fowler's tip on the @stampinup Instragram? Colour on your clear block with markers, spritz with water then stamp. Great for backgrounds and no two cards are the same! Once the backgrounds were dry I embossed with copper, flicked on some extra colour with the markers and Gold Wink of Stella Brush. 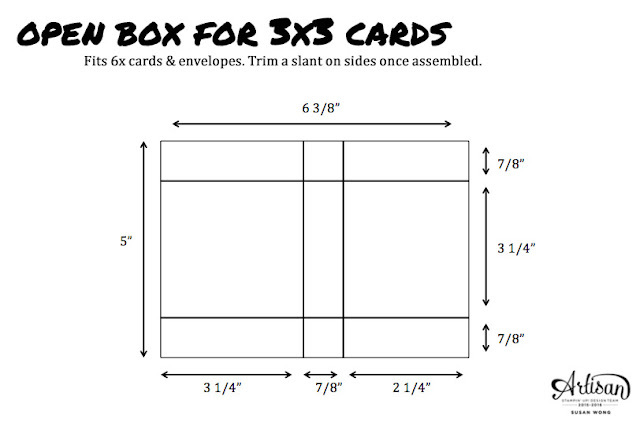 This Emerald Envy box for 3x3" cards and 3 1/4" envelopes is easy to make. And here's a thank you card! When I looked at the tree I thought Flirty Flamingo and cherry blossoms blowing away in the breeze. I sponged Soft Suede behind the blossoms to make them pop and added a layer of designer paper from the A Little Foxy paper stack. Next we're hopping through to Val. 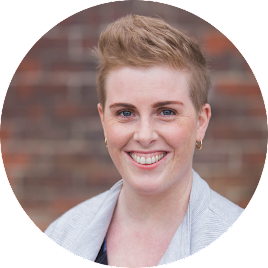 Ready to be inspired? Let's go! Susan, I love them all...but those watercolor cards are AMAZING! Hugs! 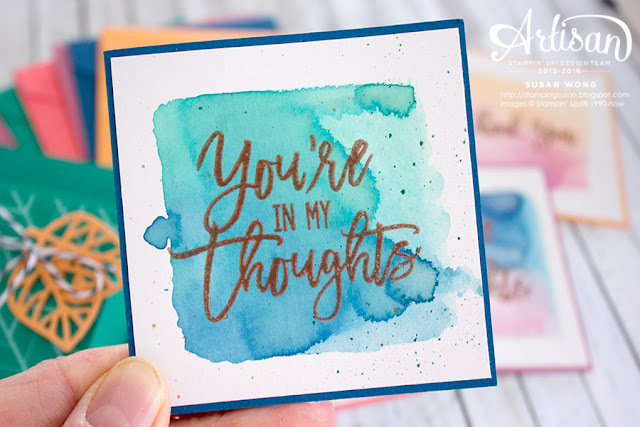 Love those watercolor cards! The whole set is gorgeous! I love your watercolor cards ! Great job ! beautiful, great timing, I'm away to pre-order now! Beautiful projects, Susan! 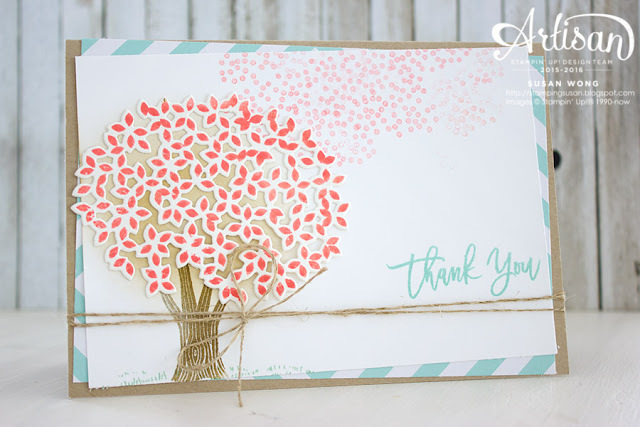 I love the watercolored backgrounds, and the floating blossoms idea is so creative. This card makes me smile with happiness. Your watercolour cards are simply stunning, Susan & a great set idea. Love the card too. A must have bundle :) Thanks for sharing. You're cherry blossom card is soo amazing, I almost sneezed when I looked at it! 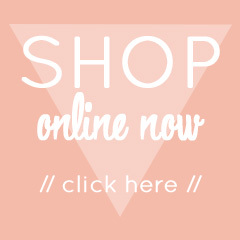 Love your creations!